Dina Najem became an activist after finishing her degree in French at the university in Baghdad, when she started blogging and became active in social media and realized how invisible the women were in Iraqi media. Dina, now 24, decided she wanted to work for women to be able to participate more in the society. After a few years as an activist within local NGOs and social media Dina applied in 2012 to the Swedish Institute’s academic program for human rights activists from the Middle East and North Africa, “Social Innovation in a digital context”. She was accepted as one of 15 participants, and so was her husband Hayder, who is also an activist. She believes many women have not been fighting for their own rights. Lack of technical skills is another reason for the absence of women in Iraqi media according to Dina.This makes them unable to compete with men who are in the same business. With the knowledge gained on digital media from the Swedish Institutes program Dina was able to start training others. 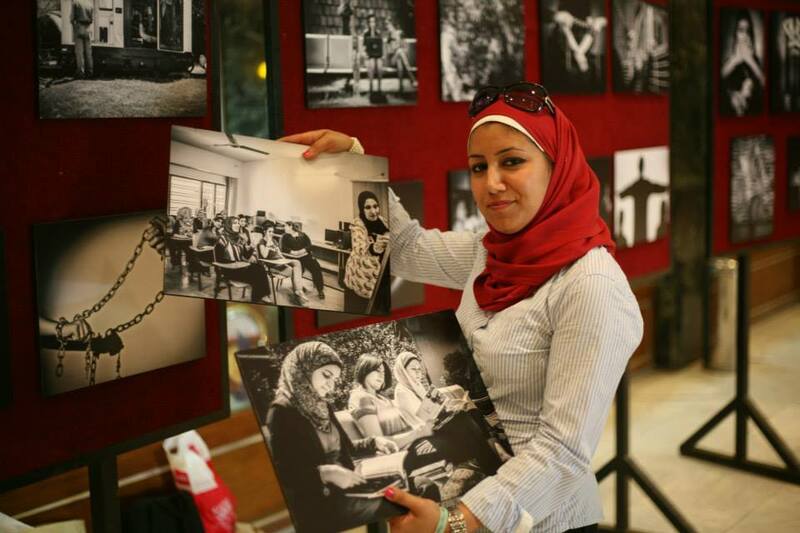 After the six months long course she returned in April this year to Baghdad and started the photography project “Rights Without Words” for young women in the ages of 20 to 30. She went herself to look for a sponsor and got International Media Support to fund the project. By publishing information about the course online she received an overwhelming number of applications. 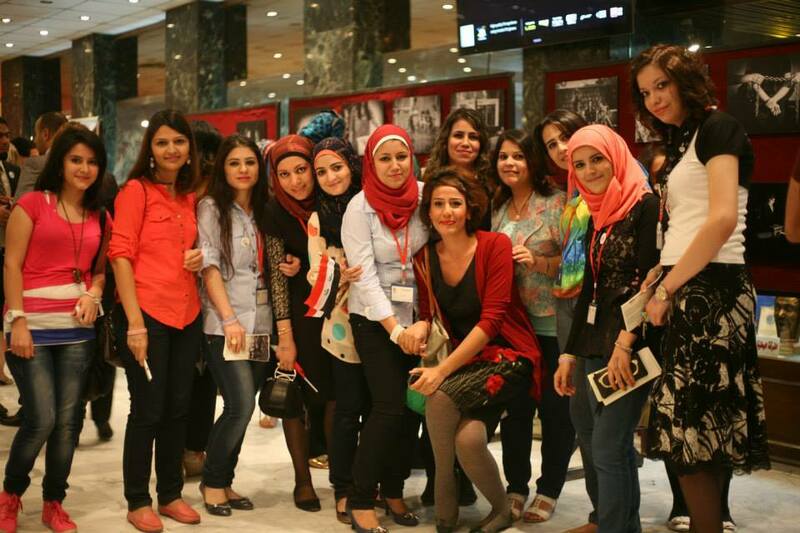 There are obviously many young Iraqi women that want to make their spot on the media scene. Finally Dina chose to include 22 participants instead of 15 as originally planned. The training was divided into three courses: human rights, photography and social media. Dina has already been able to show the photos in the Iraq National Theatre, when the Iraqi musician Nasser Shamma was hosting a concert, a previously rare but nowadays more frequent happening in the capital. Dina hopes that the world is interested of the positive development that is taking place in Iraq. She and her husband are not planning to move abroad – they want to continue with their activism despite the insecurity in Iraq. Even though she criticizes the domestic politics she thinks that there is hope in the expanding civil society. The many applicants to her project are a sign of willingness to change. Next up in her work is to focus on women bloggers, and she also wants to work with mixed groups of young women and men. In a country where the sexes often are separated she thinks it’s crucial for women and men to work together and get to know each other. The struggle for women’s rights is the core of her activism and she openly calls herself a feminist despite the resistance she often encounters. At the same time she is a Muslim and proud of that. Thanks for your information. The situation in Iraq is horrible. The american invasion was very bad for the Iraq people.